Everybody lies on a daily basis on some level. Research suggests that 80% of men and women agree there are ‘acceptable’ lies, like lying to spare someone’s feelings. Research also suggests that men lie twice as often as women with the average male telling at least two to three big lies a day. At the negotiating table negotiators commonly believe they are being deceived, on average, about 40% of the time. This includes little ‘harmless’ lies to move the negotiation process along as well as much bigger intentional lies clearly aimed at securing an advantage. The former may be to save face or create the pretense of a relationship, the latter are essentially to do with withholding information or providing false information. Is deception part of the negotiation process? Current negotiation literature accepts that some form of deception is in fact a necessary part of the bargaining process. For example, it is accepted practice to be unwilling to tell your ‘must have’ issues or to disclose your bottom line. 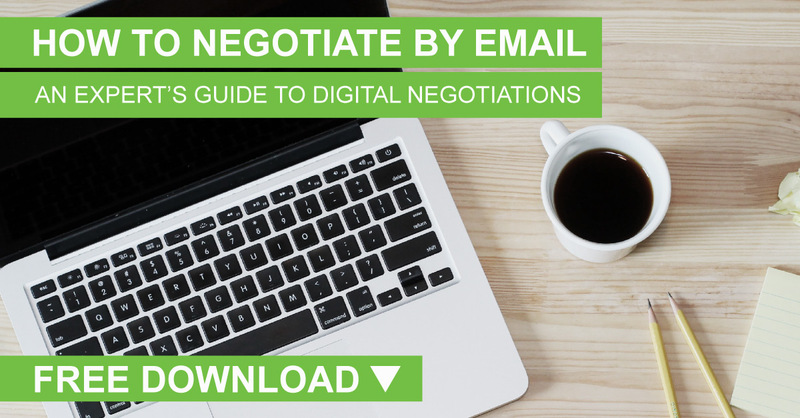 In fact ‘This is my final offer’ is regarded as the most common lie told by negotiators. ‍Deception is also linked to ethics and there are distinct cultural variances. These include cultural variance between countries, as well as between organizations and individuals. So a question to ask yourself: As a negotiator, to what degree am I willing to lie? 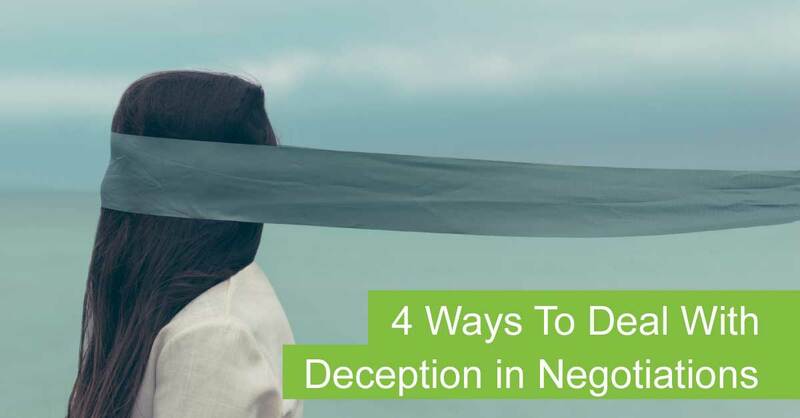 While most negotiators think they are good at catching deception, the fact is most of us are not. Studies show our hunches about the other party lying are wrong at least half of the time. The good news is, with some effort, we can train ourselves to make observations that help detect deception. These are based on the view that deception is difficult to conceal because lying takes more mental effort than telling the truth. This causes anxiety and stress leading to cues that give people away when they lie. 1. Check facts. Before looking for behavioural cues indicating lying, check out your information base. Be sure you can separate facts from fiction and that you have validated your assumptions. 2. Ask questions. Be willing to ask lots of open questions (‘what’, ‘how’, ‘why’). Avoid closed questions that only give a ‘yes’ or ‘no’ answer. 3. Establish a behavioural base line. The skill in detecting deception is to look for changes from usual ways of behaving. This requires first identifying a person’s natural behaviours as a base line. Then, at key points of uncertainty during negotiation, check for mixed signals or contradictions between their spoken word and their speech patterns and body language and note variations in frequency. •	gaps in the ‘story’ – liars rarely backtrack to fill in forgotten or incorrect details. However, always remember any of the above could be natural behaviors, not signs of lying. Focus on the whole range of behaviours and don’t rely on any single item.